Fernando García Dory talks with Ariadna Ramonetti, Mauricio Corbalán and Alex Alonso, about the importance of rethinking artistic practices and contemporary cultural production as a necessary action of resistance against the dispossession and excessive violation of the territory. 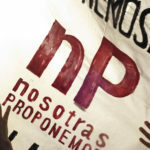 Fernando García Dory conversa con Ariadna Ramonetti, Mauricio Corbalán y Alex Alonso, sobre la importancia de repensar las prácticas artísticas y la producción cultural contemporánea como una acción necesaria de resistencia contra el despojo y violación desmesurada del territorio. Reinvented party at the work zone of the INLAND village. Image courtesy of INLAND. In 1968, while students in Paris or Berkley claimed that there was “beneath the pavement, the beach,”  for most Latin Americans the issue was obtaining land. In the discourse on and aesthetics of ecocriticism and the emancipation of the material foundations of existence, the reinvention of new, direct forms of resource-management was and remains a pending issue. At the heart of the possible relations for caring for an agroecosystem, it may not only be possible to experiment with different forms of economy, but also with other social and political models, other cultural expressions. How can we, at present, reflect on this problem of territory—territory not only as the custody of affective networks and cares/crops, but as the basis of autonomy and the sovereignty over life—as a way of exerting biopower. How can our current cultural production work hand in hand with communities for the defense of territories? We started a conversation about the spoliation and exploitation of lands with cultural interlocutors from both sides of the Atlantic. The aim was to identify the processes through which these neocolonial endeavors continue to exert themselves in the framework of the Global South and possible ways of resisting them. INLAND – Campo Adentro is a collaboration platform that links global and local cultural production with agrarian production by means of a reproducible, self-sustained, post-contemporary-art system, which incorporates actions such as the composition of different forms of knowledge, extension pedagogies, aesthetic experimentation, and the establishment of practice-communities in the field. Fernando García Dory, Piero Gilardi & Jennifer Teets and Lorenzo Cirrincione, Deviance Terra, 2017. 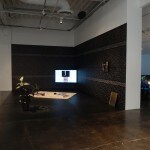 Installation view INLAND/Ghilardi. Photo by Nacho Criado. Image courtesy of the artists and fluent. 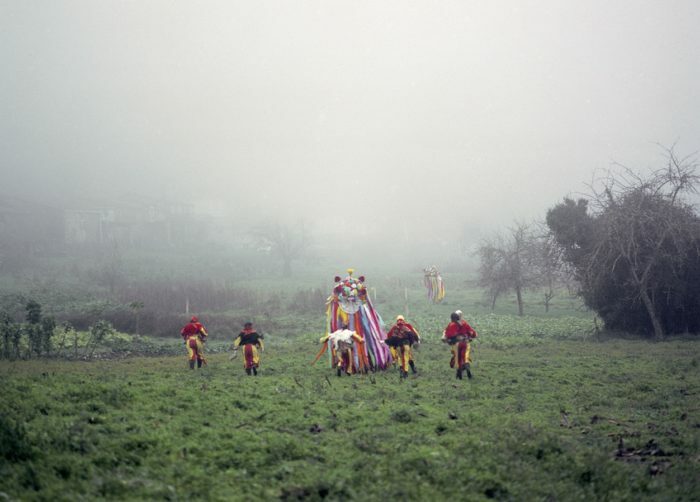 In 2017, Campo Adentro and fluent (a space for indie art in Cantabria, northern Spain, directed by Alex Alonso) began to collaborate on a project embedded in the region that attempted to develop forms of artistic research with locals, thereby reshaping power relations between the center and the periphery. That same year, they initiated a collaboration with Islario, a publication directed by Ariadna Ramonetti in Mexico, to further explore neo-extractivism and ecologies of decolonization. 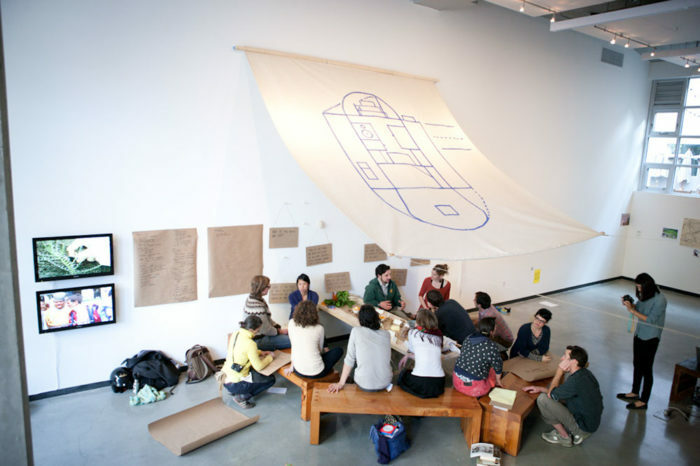 This collaboration would develop into several exhibitions, which would trace a trajectory of visual cultures of materialism and present-day capitalism, and of forms of resistance and identities that are being shaped by these forces, such as the new indigenism stemming from the Standing Rock actions, Andean popular governments, the Sami people, and possible climate and sociopolitical futures. 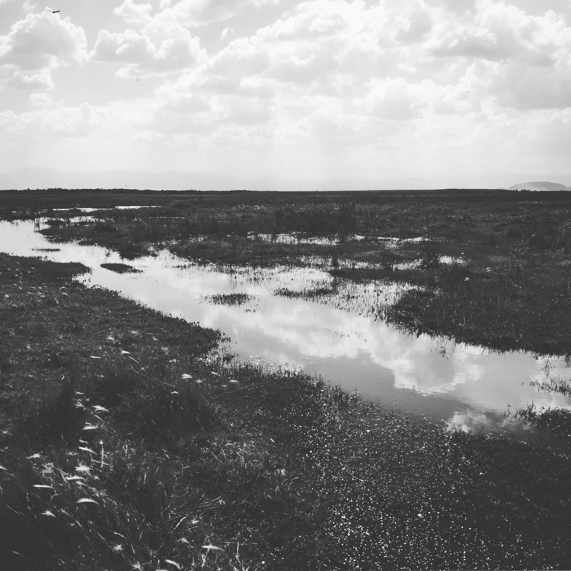 In late 2017, the MALBA (Museo de Arte Latinoamericano de Buenos Aires) invited INLAND and the M7Red collective to work with different local agents to imagine new futures for the Argentinian countryside based on the complex current situation there. M7Red is a project that celebrates the countryside as an independent ecosystem of thoughts and critical practices, including a more extensive cosmology of communities with dissident and intertwined ways of life. The aim of this conversation was to create a series of interdependent relationships, which are necessary to assert the potential independence of rural knowledges. Ariadna Ramonetti, Untitled I from the series Horizontes Liminares V, 2016-2017. Image courtesy of the artist. Ariadna Ramonetti, Untitled ll from the series Horizontes Liminares V, 2016-2017. Image courtesy of the artist. Fernando García Dory: Ariadna, you chose to do your research on a community’s struggle for its territory, in this case Texcoco. You decided to take a stance as a researcher and engage in a social process in the field, something that is not common in academic research. Have you found bridges between both realities? Do you consider it possible to contribute to these processes as a cultural producer? Ariadna Ramonetti: For all of 2016 and part of 2017, I worked with farmers and small landowners in Atenco and Texcoco. These farmers have gathered in a regional social movement called Frente de Pueblos en Defensa de la Tierra (FPDT) [The Peoples’ Front for the Defense of the Land]. Since 2001, they have been fighting against the construction of the NAICM  on their lands. I got involved on several levels, and sided with the Frente’s argument: it is an attack on nature to let a lake—a nonhuman subject—die in order to replace it with an airport, which is a structure that clearly threatens and undermines the rights of the communities that live there to the land, to the water, and to free transit across their own territory. To answer your question, and also thinking from the perspective of the field of cultural production: during the time I spent in the countryside, the only way I was able to create a bridge between the Frente and my own position as an ethnographer was to simply be with them, helping and talking with them. I think it is possible to contribute to this resistance if you have the disposition and time to support them and promote their cause in a way that will have longterm repercussions. This can take the shape of a work, a publication, or some kind of visual memory that contributes to the spread of the different causes that are participating in the struggle against extractivism, spoliation, economic violence, and displacement. Ariadna Ramonetti, Untitled III from the series Horizontes Liminares V, 2016-2017. Image courtesy of the artist. FGD: This is where the idea of Islario began, if I am not mistaken. In the two volumes of the magazine you’ve published so far, you create a platform that gives this issue a broader scope. On the one hand, it triggers a debate on how these developmental models aggress the environment and its inhabitants, and, on the other, it reaches out to and connects similar cases across Latin America. Which agressions are you collecting, and what is your analysis of the current situation in the region? AR: The first phase of the airport’s construction has been deeply aggressive towards the environment. The building of its foundations requires the complete draining of Lake Texcoco, which spreads over more than 4,000 hectares. To execute this process, they implemented a preload system with a volcanic rock called tezontle. Its porosity is supposed to absorb the remaining water from the lake. In order to do this, around 20 million m3 tezontle rocks are being extracted from practically all the surrounding hills. These new “mines” are being exploited by local “chiefs” and guarded by armed gangs, as is common in other regions of Northeast Mexico. Even if the corporations that are building the airport are not mining companies, they do have an extractive and geological place of enunciation, based on the destruction of life forms and the upsetting of social reproduction on a given territory. It took me several months of research to understand what I just briefly delineated for you. During the process, I realized that the information regarding the spoliation of land came almost exclusively from Brazilian, Chilean, and Argentinian academic and scientific worlds. This is why I began to publish Islario in late 2016, to render visible these neocolonial processes of extraction—of both natural and cultural resources—from the perspective of other fields such as the visual arts, ethnography, research journalism, and heritage studies. Its aim is not only to spread information about social conflicts involving water, land, and territorial spoliation, it also seeks to create an archive for the future and to help expand discussions about other issues associated with these conflicts, including internal colonialism, migration, marginalization, economic violence, and the role that both material and immaterial heritage play in the construction of official discourses of identity. What motivates transnational corporations and what is left of the nation states to seize the identity, the individual and collective property, the culture, the ritual and quotidian spaces, and the most basic means of survival from entire communities of people, both rural and urban, when it will result in their inevitable and forced displacement? In contrast to other places in Latin America like Peru or Chile where eviction is mostly carried out by mining companies, in Mexico it is the State with its infrastructure projects that displaces communities. Thus, it is the State that is plundering its own citizens. Fernando García Dory and Ami Franceschini, Land/Use. Installation and activation, SFMoMA, 2018. Image courtesy of INLAND. FGD: Mauricio, with M7Red in Argentina, you have engaged in the construction of a new architecture of knowledge that helps to elucidate abuses of power and apply legal research to the conditions in which these abuses have been carried out in our so-called democracies. By focusing on the information produced by local people in the areas affected by the extractivist soybean industry and its concomitant pack of agrochemicals, you have founded a kind of post-normal science and aided in the reappropriation of fiscal and judicial labor by farming communities. Is this, in your opinion, a kind of reappropriation, a submission, or a possible way to reach independence from systems of knowledge sanctioned by the established powers? Mauricio Corbalán: There is an alliance between the biotechnological industry, academic and scientific activity, and the media, which has reshaped the Argentinian territory in the last two decades. This is what Jorge Rulli and the GRR (Grupo de Reflexión Rural) [Rural Reflection Group] have called the “model of biotechnological occupation” of the nation. Villages and small cities that have been trapped in zones of geneticaly modified soybean production or large-scale mining have begun to confront this alliance. Those who have been affected resist on a local level by self-organizing into discussion forums. In these local discussions, they question the production of knowledge itself and how best to collectively carry out research protocols, acknowledging the conflict between science and democracy that governments deny. When the technological package of genetically modified soybeans appeared in the late 1990s, several “consensus conferences” were held, creating the basis for the Secretaría de Ciencia Ciudadana, [Ministry of Civic Science] which existed briefly before the 2001 crisis. We want to reconstruct this history in our research. It started with Daniel Goldstein’s scientific journalism in the sixties, and was continued with the works of Silvio Funtowicz and Jerome Ravetz in the eighties. A genealogy of “science for the people,” as it was called in the sixties counterculture, and would eventually become post-normal science: a protocol to explore complex scenarios involving experts and non-experts. Due to the lack of state politics based on the “precautionary principle,” the forums convened by those affected themselves enable open source spatial research with legal tools, and produce evidence in order to advocate for modifications in current legislation. Yet, what these local struggles have shed light on is the complicity between state researchers and the biotechnology companies. This relates to the criticism of systems of production, distribution, and publication of academic science data on a global scale. How and who defines the agendas for public research? This is crucial, because what is at stake is the occupation of the territory. Mothers of the neighborhood of Ituzaingo Anexo, Córdoba, Argentina. Mapping of the victims of the fumigations (2001-2012). Image courtesy of M7Red. FGD: And also a possible epistemologic liberation, a-academic and civic, which reminds me of agroecology’s acknowledgment of peasant knowledges. Most of the peri-urban villages and communities in which you have been working in Argentina do not include indigenous populations, and they also rarely include farmers, as opposed to other Latin American countries. Do you think that despite this there are links with the land that go beyond the Western notion of property and NIMBY environmental complaints? Are you following the rebirth of Mapuche resistance and their alliance with civic movements? Could there be a question of a re-signification of identity in these movements of the dispossessed that are now surging up in response to the aggressions of neoliberal developmentalism? I am thinking about a phenomenon that could be taking place in the anti-extractivist struggles in the US, a country which is not very different from Argentina in its history and in terms of ethnic and social composition. MC: In the soybean production area, the population is mostly derived from Europeans who were brought in to colonize the humid pampas and who now find themselves trapped within the frontiers of agrobusiness. Bolivian immigrants are predominant in the peri-urban agricultural outskirts of the metropolitan areas, which produce vegetables on a massive scale. They have to resist urbanizing pressure placed upon their rented lands. Those who migrated from the countryside because of the expansion of soybean production joined with the populations that settled irregularly on the urban hinterlands and participate in a subsistence economy and in a complex system of subsidies. In Patagonia, the expansion of the extractive model and its ensuing violence on territories and populations, such as the Mapuche, have caused some local resistance, but there is still no sign of any collaborative relationship with environmental justice policies or initiatives promoted from the urban centers, despite the fact that some urban peripheries are involved in the Mapuche mobilization. The Chilean and Argentinian governments and the media manipulate these conflicts to create the image of a potential domestic enemy. They have even started to coordinate joint security protocols with radically repressive actions. It is here that art is important, as the conceptual elaboration of a cognitive-cultural resistance. Part of the effect of the current conservative policies of Macri include the fact that the Ministry of Science and Technology has begun to isolate many of the activist groups that hinder the development of agribusiness and mining industries all over the country. They call them “fundamentalists” and claim that they prevent Argentina from fully inserting itself into the global supply network. We believe that legal mechanisms such as the “rights of nature” (see Bolivia) can be key to bringing local conflicts to a global level and deconstructing the binary between the countryside and the city that feeds this urbanization of territory through new internal borders; the urban borders lacking services, and the nature “reserves” and the land occupied for extraction. 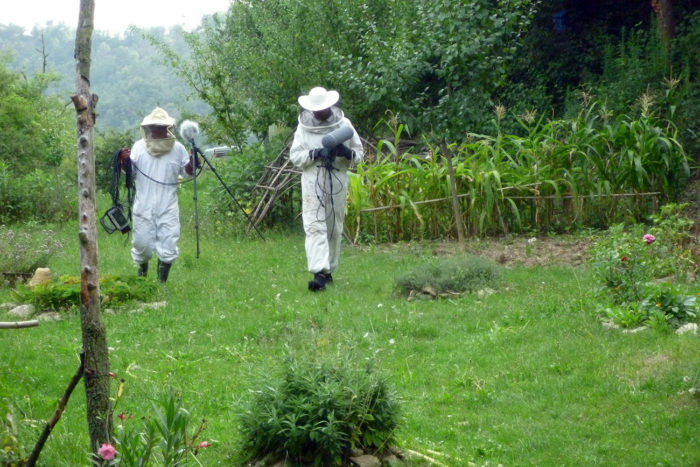 Field recording for the elaboration of a local sound map while the INLAND project in 2012. Image courtesy INLAND. 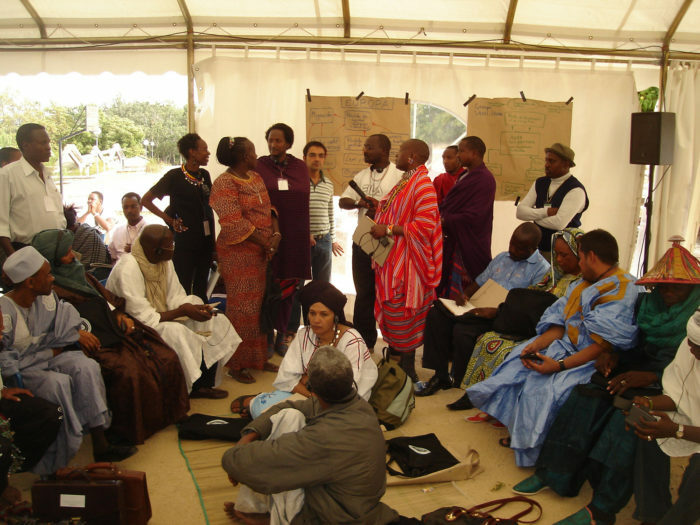 The group of nomads of the African region revise the analysis of problems made by shepherds of the European region. Un Encuentro Mundial de Nómadas [A Worldwide Encounter of Nomads], 2017. Image courtesy of INLAND. 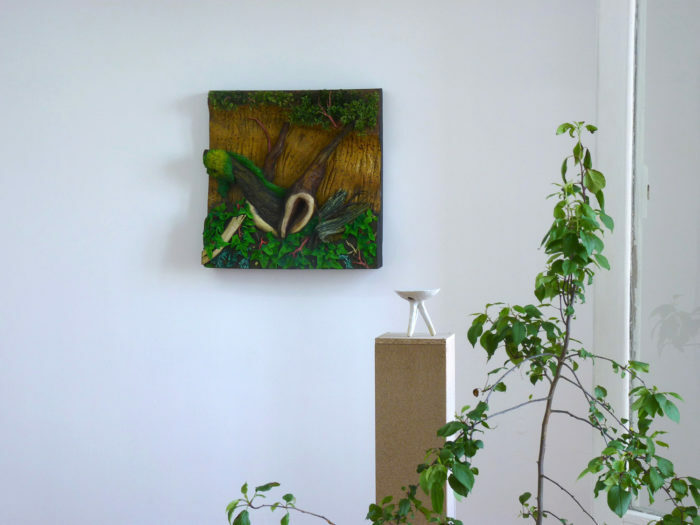 FGD: Let us continue with this thought by looking at the work of fluent, the independent art space in Santander (Spain). 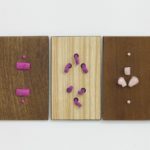 Their goal is to activate places that are apparently outside the well-known circuit, and to center the 2017 program, titled Into Pore Spaces / Aesthetics of Contamination, on the analysis of our relationship with the concept of “nature.” Has the process of rethinking the role of land changed anything in these decisions? How do you think that artistic practice and contemporary cultural production can reflect on and engage with the ecological crisis? Alex Alonso: To work from a geography beyond the circuits you mention has to do with linking established forms of knowledge with all those other non-academic and (not necessarily) linguistic knowledges, which, in my opinion, have not communicated as much as they should. In this sense, while thinking about the program of Aesthetics of Contamination, it was important to base it on a direct experience of nature, and not so much on the theory regarding this concept, with artistic practices linked to experience, from installation or performance to collaborative and disruptive processes in the field, such as those you carry out with INLAND. It is truly necessary to connect the humanities, especially the arts, with the fight to defend rural knowledge and the knowledge of those who live in or work with nature. In the academic field, this need is beginning to show through the fascinating proliferation of the so-called “Environmental Humanities.” As Ariadna was saying, the spoliation processes stem from a displacement of identity, constructed on an ideology that has internalized the notion that the natural environment and nonhuman entities are passive, exploitable elements. This is why it is so important to strengthen the consciousness of interdependence. Even if in the cultural field references to decolonization from anthropocentric, extractivist, and capitalist knowledges are expanding, it is fundamentally necessary to establish spaces of thought directly linked to the land. These will allow for the de-objectification of what is being studied, enabling a direct experience of ecological discourse, and the creation of a field of action and engagement with non-academic knowledge, such as the much-maligned peasant knowledge. 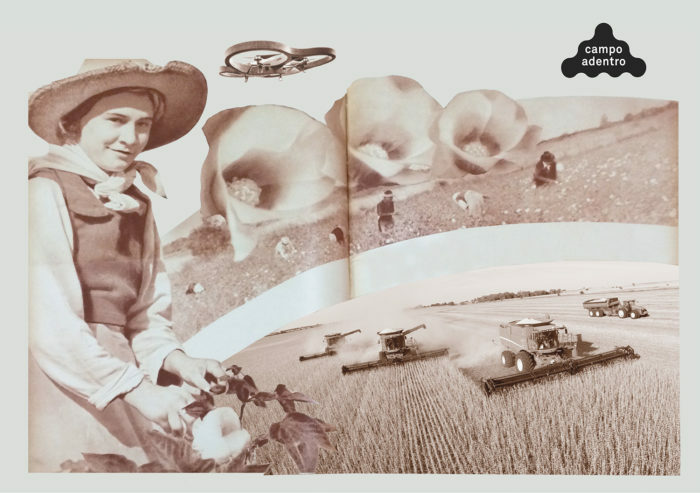 Collage of images from the publications of the Ministerio de Agricultura de Argentina, 1930-2018, for INLAND in MALBA 2017. Image courtesy of INLAND. FGD: In a certain way, this idea guided the premise of the Escuela de Pastores project, begun in 2004. What does a year of work with INLAND in Cantabria entail in relation to the questions of territorial in/dependence? AA: The first phase of INLAND Cantabria involves an extension of the work that was already carried out on the Asturian and Leonese sides of the Picos de Europa. This natural park is a particular ecosystem that has served as a border between three provinces which share environmental, social, and cultural identities. It is a territory that has trans-border autonomy, a bioregion. After our initial investigation, paying careful attention to historical references and the current population’s visions for the land, we established the foundational premise. We determined that the plans for the area’s development had thus far been imagined and implemented by elites and technocrats alien to the region. These have caused the rise and fall of the dairy industry, of tourism, and of forest management. A moment of apparent decline saw the emergence of initiatives to rescue and update important aspects of rural cultural heritage, such as neighborhood councils that rule over communal decisions. This assessment, publicized through the projection of an audiovisual essay in late 2017, reveals a preoccupation with the ongoing mentorship from urban centers, with its inadequate attention to agricultural and territorial politics (both by the state and by Europe) and its fetishization of nature that has resulted from the neo-ruralism encouraged by tourism. It also reveals the possibility of escaping the standardizations imposed by capital and the capacity to claim territorial independence, away from nationalism, through local forms of geopower. A community capable of asserting these premises could potentially create an autonomous space: this region is a valley of territorial dynamics and shifting development models which still feature vernacular, pre-capitalist communal management models. The process through which these socioeconomic models have turned into precarious and even marginal lifestyles has triggered the capacity to create a small community of resistance, through associative processes and initiatives that claim the need to regenerate the system (from environmental activism to science and culture). If we look at the advanced self-governed localities in Latin America, we could determine the political and economic dimensions from which a model of resistance could be imagined, one that could enable territorial sustainability that could extend to a global scale. La Colonia Nueva Oportunidad, Fine Arts University campus, Madrid 2012-2013. Photo by Fernando García Dory. Image courtesy of INLAND. Alex Alonso is an art historian and independent curator. He currently manages fluent, an artistic investigation space. Mauricio Corbalán has a background in architecture. In 2005, along with Pio Torroja initiates in Buenos Aires, M7red, a group of investigation and independent activism focused on the collective description and translation of complex stages. Fernando García Dory combines his studies of art, rural sociology and agroecology in a practice that locates itself at the locus of transition, that moves from cultural production conditions under the postfordism to a new paradigm. Since 2009 he started INLAND-Campo Adentro. Ariadna Ramonetti has developed as an independent curator, producer, editor, and cultural projects manager since 2005. Her current investigation is focused on the relations between art, contemporary culture and politics, and between aesthetics and territories with precarious contexts that indigenous and peri-urban communities suffer in Mexico City. “Beneath the pavement, the beach” or “the beach beneath the street” was a slogan popularized among student protestors in Paris in 1968. The term derives from the sand that was found under cobblestones the students dug up during riots and used to throw at police. Edwin Heatchote, “The Beach Beneath the Streets,” Financial Times, August 12, 2011. Acronym for New International Airport of Mexico City. To learn more, see Islario’s Facebook page. Fiesta reinventada en la zona de trabajo de la Aldea INLAND. Imagen cortesía de INLAND. Aquel 1968, mientras los estudiantes en París o Berkeley pedían la playa bajo el asfalto , para la mayoría de la población latinoamericana el reto era conseguir la tierra. En los discursos y estéticas sobre eco-crítica y la emancipación de las bases materiales de la existencia, reinventar formas de gestión directa de los recursos ha sido y es asignatura pendiente. En el seno de relaciones posibles al cuidado de un agroecosistema, no sólo sería posible experimentar otra economía, sino otras formas sociales y políticas, y expresiones culturales. ¿Cómo ver a la luz del momento actual esta apuesta por territorio no sólo como custodia de una red de afectos y cuidados/cultivos, sino como base de la autonomía y la soberanía sobre la vida, una forma de ejercer el biopoder? ¿De qué formas puede la producción cultural contemporánea ir de la mano de las comunidades en defensa del territorio? Iniciamos una conversación sobre despojo y explotación de tierras, entre agentes culturales radicados en ambos lados del Atlántico, que permita identificar los procesos de dichas acciones neocoloniales en el marco del Sur Global y posibles maneras de articular resistencia(s). 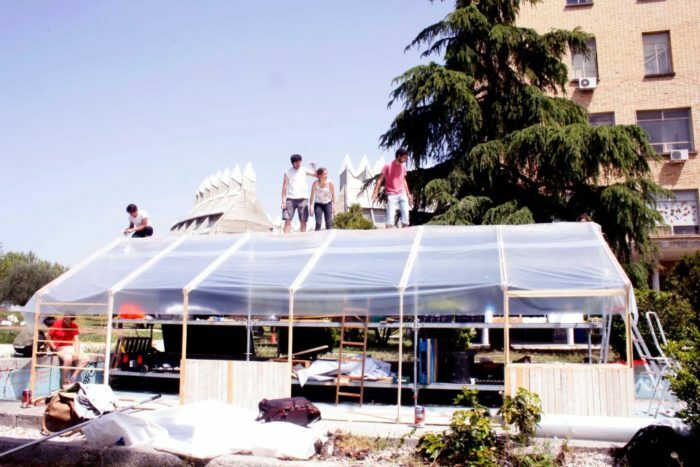 INLAND – Campo Adentro es una plataforma de colaboración que vincula producción cultural a escala global y local con la producción agraria a través de la idea de un sistema replicable y auto-sostenido post-arte contemporáneo que permite acciones como la composición de saberes, pedagogías de extensión, experimentación estética y establecimiento de comunidades-de-práctica sobre el terreno. Fernando García Dory, Piero Gilardi & Jennifer Teets y Lorenzo Cirrincione, Deviance Terra, 2017. Vista de instalación INLAND/Ghilardi. Fotografía por Nacho Criado. Imagen cortesía de los artistas y fluent. En 2017, Campo Adentro y fluent (espacio de arte independiente en Cantabria, norte de España, dirigido por Alex Alonso) inician una colaboración que atiende a la región de trabajo ensayando formas de investigación artística en colaboración con la comarca re-equilibrando las relaciones de poder centro-periferia. Ese mismo año inicia la colaboración con Islario, publicación en Mexico dirigida por Ariadna Ramonetti, para profundizar conjuntamente sobre neo-extractivismo, y ecologías de la de-colonización. 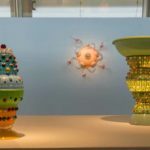 La colaboración con Islario desembocaría en sendas exposiciones para un recorrido por las culturas visuales del materialismo y del capitalismo en su fase actual, de las resistencias y nuevas identidades que se configuran, como el nuevo indigenismo, al hilo de las acciones de Standing Rock, gobiernos populares andinos o el pueblo Sami, y los posibles futuros climáticos y sociopolíticos. A finales de 2017, INLAND junto con el colectivo M7Red trabajan por invitación del MALBA (Museo de Arte Latinoamericano de Buenos Aires) con diversos agentes locales para especular futuros del agro argentino a partir de la compleja realidad actual. M7Red es un proyecto que celebra la independencia del campo como ecosistema de pensamiento y prácticas críticas, a su vez vinculándolo a una cosmología más extensa de comunidades con formas de vida disidentes y entrelazadas. Por ello, a través de esta conversación se pretende trazar una serie de relaciones interdependientes, necesarias para proclamar la potencial independencia de los saberes de la ruralidad. Ariadna Ramonetti, Sin título I de la serie Horizontes Liminares V, 2016-2017. Imagen cortesía de la artista. 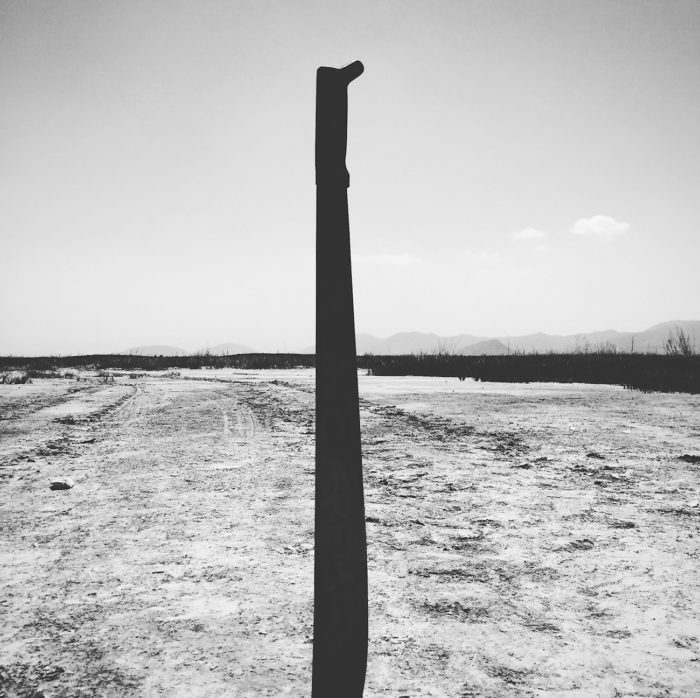 Ariadna Ramonetti, Sin título II de la serie Horizontes Liminares V, 2016-2017. Imagen cortesía de la artista. Fernando García Dory: Ariadna, elegiste hacer tu tesis sobre la lucha de una comunidad en defensa del territorio, en este caso Texcoco, tomando posición como investigadora al implicarte sobre el terreno en un proceso social, algo no tan común en la academia actual. 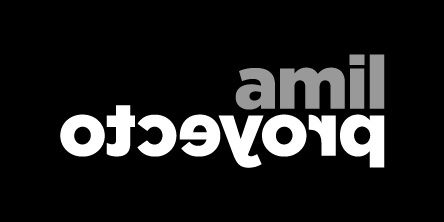 ¿Has encontrado puentes entre ambas realidades? ¿Sientes que es posible en tanto productores culturales contribuir de alguna forma a estos procesos? Ariadna Ramonetti: Durante todo 2016 y una parte de 2017 tuve la oportunidad de acompañar a varios campesinos y pequeños propietarios de Atenco y Texcoco, agrupados en un movimiento social regional llamado Frente de Pueblos en Defensa de la Tierra (FPDT) y que son quienes resisten al emplazamiento del NAICM  en su territorio desde el 2001. Este acompañamiento me llevó a involucrarme con la organización a diversos niveles, suscribiendo el argumento del Frente: es un atentado contra la naturaleza dejar morir a un lago —un sujeto no humano— para sustituir su presencia por la de un aeropuerto mismo que atenta y daña los derechos de estas comunidades a la tierra, al agua y a transitar libremente por el territorio que habitan. Respondiendo a tu pregunta y pensando también desde el ámbito de la producción cultural: durante el tiempo que estuve en el campo, la única manera que encontré para tender puentes entre el Frente y mi posición de etnógrafa en aquel momento fue estar con ellas y ellos, prestar ayuda y conversar. Creo que es posible, contribuir a esta resistencia si se da la disposición y el tiempo para promover diversos procesos de acompañamiento con una repercusión de más largo aliento concretándose en una obra, una publicación o algún tipo de memoria visual que contribuya a difundir las diversas causas por las que se lucha en contra del extractivismo, el despojo, la violencia económica y el desplazamiento. 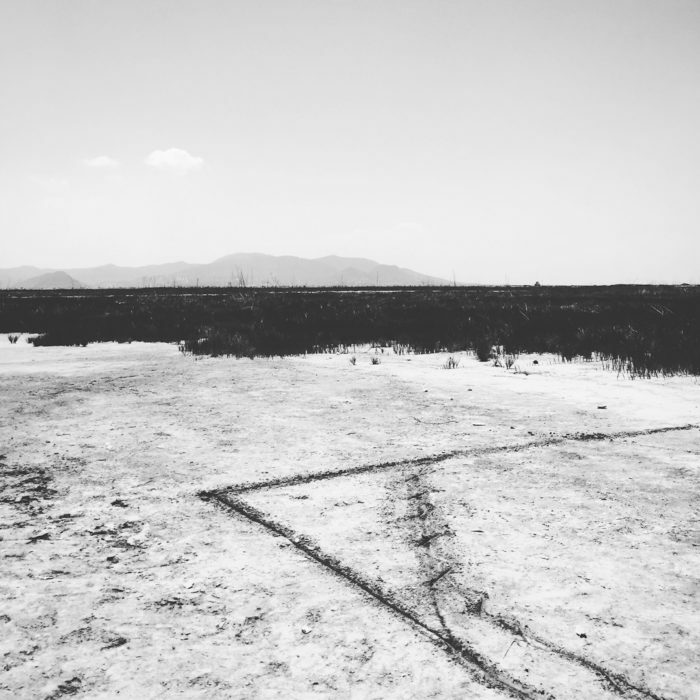 Ariadna Ramonetti, Sin título III de la serie Horizontes Liminares V, 2016-2017. Imagen cortesía de la artista. FGD: De esa experiencia, si no me equivoco, surge la idea de Islario. A través de este proyecto, en los dos números publicados hasta la fecha, creas una plataforma que da mayor alcance a una inquietud. Por un lado, inicia un debate sobre las agresiones del modelo desarrollista sobre el medio ambiente y quienes lo habitan, y por otro, extiende el radio de escucha a diferentes casos en Latinoamérica. ¿Cuáles agresiones estás recogiendo y a partir de ello, cuál es tu análisis del momento actual en la región? AR: La primera fase constructiva del aeropuerto posee un carácter profundamente agresivo con el medio ambiente, ya que para sus cimientos es necesario desecar por completo el lago de Texcoco de más de 4,000 hectáreas. Para ello, implementaron un sistema de precarga con una piedra volcánica llamada tezontle que por su porosidad supuestamente absorberá el agua que aún queda en el lago. Se extraen así 20 millones de m3 de tezontle de prácticamente todos los cerros de la región. Estas nuevas “minas” están siendo explotadas por caciques locales y son resguardadas por grupos de choque, algo que ocurre en otras regiones al noreste de México. Aunque las corporaciones que construyen el aeropuerto no son empresas mineras, sí hay un lugar de enunciación extractivo y de carácter geológico basado en la destrucción de formas de vida y en el trastocamiento de la reproducción social en un territorio dado. Comprender las implicaciones de esto que explico de manera sucinta me llevó varios meses de investigación y en el proceso pude percatarme que la mayor parte de la información respecto al despojo provenía casi exclusivamente del ámbito académico y científico brasileño, chileno o argentino. Por ello comienzo a editar Islario a finales de 2016: para visibilizar estos procesos neocoloniales de extracción de bienes naturales y culturales desde otros ámbitos como las artes visuales, la etnografía, el periodismo de investigación y los estudios patrimoniales. Su objetivo no es sólo la divulgación de conflictos sociales atravesados por el despojo de agua, tierra y territorios; también busca forjar un archivo de cara al futuro que contribuya a discutir otras nociones asociadas a dichos conflictos, como pueden ser el colonialismo interno, la migración, la marginación, la violencia económica, y el papel que juega el patrimonio material e inmaterial en la construcción de discursos identitarios oficiales. ¿Qué es lo que motiva a las corporaciones transnacionales y a lo que queda de los Estados-Nación a arrebatar a pueblos enteros la identidad, la propiedad individual y colectiva, la cultura, los espacios rituales y de esparcimiento y, por supuesto, los medios más básicos de subsistencia tanto de comunidades rurales como metropolitanas cuando se concreta un proceso de despojo y su consecuencia inmediata: el desalojo forzoso de comunidades? A diferencia de otras latitudes del continente, como Perú o Chile, en donde el despojo ocurre principalmente por empresas dedicadas a la minería, en México es por proyectos de infraestructura estatal. Es decir, es el propio Estado el que expolia a sus ciudadanos. Fernando García Dory y Ami Franceschini, Land/Use. Instalación y activación, SFMoMA, 2018. Imagen cortesía de INLAND. FGD: Mauricio, desde M7Red en Argentina igualmente apostasteis por ejercer la arquitectura desde una posición implicada en esclarecer abusos de poder y aplicar un estudio forense de las condiciones en las que estos se dan en nuestras aparentes democracias. Al centraros en las respuestas de municipios afectados por el modelo extractivista sojero y el paquete de agrotóxicos asociado, habeis hallado una forma de ciencia post-normal y reapropiación de la labor fiscal y judicial por las comunidades campesinas. ¿Es esto en tu opinión una reapropiación, una sumisión o una posible vía de llegar a independizarse de los sistemas de conocimiento y sanción del poder establecido? Mauricio Corbalán: Hay una alianza entre la industria de la biotecnología, la actividad académica y científica y los medios de comunicación que ha reconfigurado el territorio argentino en las últimas dos décadas. Algo que Jorge Rulli y el GRR (Grupo de Reflexión Rural) han llamado el “modelo de ocupación biotecnológico” del territorio nacional. Esta alianza es confrontada por los pueblos y pequeñas ciudades que han quedado atrapadas en áreas de producción de soja transgénica o minería en gran escala; es a nivel local donde se produce la resistencia mediante la auto-organizacion de los mismos afectados en foros. Lo que se cuestiona en estas disputas a nivel local es la misma producción de conocimiento y cómo se realizan los protocolos de una investigación por parte de un colectivo que asume el conflicto entre ciencia y democracia que los gobiernos no enfrentan. Coincidiendo con la entrada del paquete tecnológico de la soja transgénica a finales de los 90s, se ensayan unas “conferencias de consenso” que fueron la base de una “Secretaría de Ciencia Ciudadana” que funcionó brevemente antes de la crisis del 2001. Queremos reconstruir en nuestra investigación esta historia que comenzara con el periodismo científico de Daniel Goldstein en los 60s y siguiera con los trabajos de Silvio Funtowicz y Jerome Ravetz en los 80s. Una genealogía de una “ciencia para la gente” como se la llamaba en la contracultura de los 60s y que evolucionara luego en formulación de la ciencia postnormal como un protocolo para explorar escenarios de complejidad que vinculen a expertos y no expertos. A falta de una política estatal basada en el “principio de precaución”, los foros autoconvocados por los propios afectados generan investigaciones espaciales de fuente abierta con herramientas forenses y producen evidencia para intentar modificar la legislación vigente. Pero lo que queda en evidencia en estas luchas locales es la complicidad de los investigadores del estado y las empresas de biotecnología. Eso se relaciona con una crítica al sistema de producción, distribución y publicación de datos de la ciencia académica a nivel global. ¿Cómo y quiénes confeccionan las agendas de investigación públicas? Esto es crucial porque lo que está en juego es la ocupación del territorio. 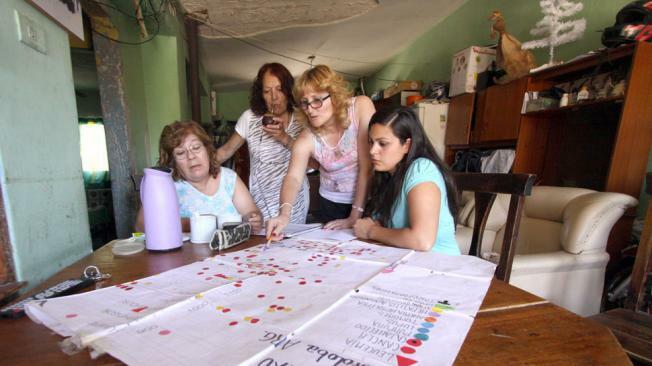 Madres del Barrio Ituzaingo Anexo, Córdoba, Argentina. Cartografía de afectados por las fumigaciones (2001-2012). Imagen cortesía de M7Red. FGD: Y también una posible epistemología liberadora, a-académica y ciudadana, lo que me recuerda el reconocimiento de los saberes campesinos por parte de la Agroecología. Los pueblos o comunidades periurbanas en los que habeis trabajado en Argentina por lo general no cuentan con un componente indígena, y apenas campesino, a diferencia de otros países latinoamericanos. ¿Crees que se han generado, no obstante, vínculos con la tierra que superan la noción occidental de propiedad y de denuncia medioambiental “NIMBY”? ¿Estáis siguiendo la reavivada resistencia del pueblo Mapuche y su alianza con movimientos ciudadanos? ¿Podría estarse dando una re-significación identitaria de estos movimientos de desposeídos que surgen en respuesta a la agresión del desarrollismo neoliberal? Pienso en un fenómeno que podría estar dándose en las luchas anti-extractivistas de EE.UU., un país que no difiere tanto de Argentina en relación a su composición étnica y social y su recorrido histórico. MC: En los pueblos del área sojera el componente demográfico es derivado del tipo europeo que fue traído para la colonización de la pampa húmeda y que ahora se encuentra atrapado dentro de las fronteras del agronegocio. En el cinturón de agricultura periurbana de las áreas metropolitanas, que produce las hortalizas de consumo masivo, predomina en cambio la inmigración boliviana cuya resistencia es a la presión urbanizadora sobre sus áreas de producción que son arrendadas. Aquellos que migraron del campo por efecto de la expansión de la frontera de la soja fueron a engrosar la población que se asentó de forma irregular en los cordones urbanos y participan de una economía de subsistencia y de un complejo sistema de subsidios. En la Patagonia el despliegue del modelo extractivo y su consiguiente violencia sobre territorios y poblaciones, como la Mapuche, si bien puede producir una dinámica de resistencia localizada aún no se vislumbra una articulación con otras agendas de justicia ambiental promovidas desde centros urbanos, a pesar de la participación en periferias urbanas de algunos partícipes de la movilización Mapuche. Los gobiernos de Chile y Argentina, junto con los medios, manipulan estos conflictos para crear la imagen de un potencial enemigo interno, e incluso han comenzado a coordinar protocolos de seguridad conjuntos, con severa represión. Aquí es donde el arte como elaboración conceptual de una resistencia cognitiva-cultural tiene valor. Parte de la deriva conservadora del actual gobierno de Macri incluye el hecho de que el Ministerio de Ciencia y Tecnología comienza a aislar a muchos grupos activistas que impiden el desarrollo del agronegocio y la minería a lo largo del país, tildándolos de grupos “fundamentalistas” que impiden la plena inserción de Argentina en las cadenas de suministros globales. Nosotros creemos que articular mecanismos legales tales como los “derechos de naturaleza” (véase Bolivia) puede ser una llave para articular conflictos locales a nivel global y desarmar la producción binaria de campo y ciudad que informa esta urbanización del territorio mediante nuevas fronteras internas; las urbanas sin servicios, las “reservas” naturales y los territorios ocupados para la extracción. Grabación de campo elaborando un mapa sonoro local durante proyecto de INLAND en 2012. Imagen cortesía de INLAND. El grupo de nómadas de la región africana revisa el análisis de problemas hecho por los pastores de la región europea. Un Encuentro Mundial de Nómadas, 2007. Imagen cortesía de INLAND. FGD: Sigamos este aspecto mirando al trabajo del espacio de arte independiente fluent en Santander (España), que ha apostado por activar lugares aparentemente fuera del circuito más habitual, y centrar el programa de 2017 titulado Into Pore Spaces / Aesthetics of Contamination, en una puesta a examen de nuestra relación con el concepto de “naturaleza”. ¿Ha influido algo repensar el lugar de los territorios para estas decisiones? ¿En qué sentido crees que la práctica artística y la producción cultural contemporánea pueden dar cuenta de la crisis ecológica? Alex Alonso: Operar desde esa geografía alejada de los circuitos que mencionas tiene que ver con la voluntad de vincular formas de conocimiento establecidas, con todos esos otros saberes no académicos y (no necesariamente) lingüísticos que, en mi opinión, no se relacionan tanto como deberían. En ese sentido, al pensar el programa Estéticas de la contaminación ha sido fundamental basarlo en una experiencia directa de la naturaleza, y no tanto en la teorización sobre ese concepto, con prácticas artísticas ligadas a la experiencia que van desde la instalación o la performance hasta los procesos colaborativos y de agitación sobre el terreno que haceis con INLAND. Es muy necesario conectar las humanidades, especialmente las artes, con la posibilidad de una independencia de los saberes de la ruralidad o de aquellos originados desde la imbricación natural. En la academia esta necesidad se comienza a relacionar con una fascinante proliferación de las llamadas ‘‘Humanidades ambientales’’. Como plantea Ariadna, los procesos de despojo parten de un desplazamiento identitario construido sobre una ideología que ha asimilado el medio natural y las entidades no humanas como elementos pasivos a explotar. Es por ello fundamental reforzar cierta consciencia de interdependencia. Si bien en el campo cultural se extienden las referencias a la decolonización de saberes antropocéntricos, extractivistas y capitalistas, es fundamental establecer espacios de pensamiento directamente ligados al territorio que permitan la no-objetivización de lo que se estudia, posibilitando la experiencia directa del discurso ecológico, y crear un campo de acción y de encuentro con el saber no-académico, como puede ser el del campesino, tan denostado. Collage de imágenes de publicaciones del Ministerio de Agricultura de Argentina, 1930-2018 para INLAND en MALBA 2017. Imagen cortesía de INLAND. FGD: De algún modo esa idea guió al origen del proyecto Escuela de Pastores que iniciamos en 2004. ¿Qué reflexiones te suscita el año de trabajo inicial de INLAND en Cantabria en relación a las cuestiones de in/dependencia y territorio? AA: Esta primera fase de INLAND Cantabria supone una extensión del trabajo que ya estabais haciendo en las vertientes asturiana y leonesa de Picos de Europa. Este parque natural es un ecosistema particular que ha servido como frontera de tres provincias que comparten identidad medioambiental, social y cultural: es un territorio con autonomía propia trans-fronteriza, una biorregión. Tras un primer acercamiento a la zona, atendiendo a referencias históricas y a las visiones actuales de sus habitantes, se establece la tesis fundamental: los imaginarios de desarrollo de la comarca han sido proyectados desde élites y tecnocracias ajenas al lugar, impulsando el auge y caída de la industria lechera, el turismo o la ordenación forestal. En un momento de aparente declive, surgen también iniciativas que rescatan y actualizan importantes legados de la cultura rural, como los concejos vecinales que deciden sobre el comunal. Ese diagnóstico, al que dimos una dimensión pública con la proyección del ensayo audiovisual a finales de 2017, muestra la preocupación por la continuación del tutelaje que se hace desde los centros urbanos, con políticas territoriales y agrarias inadecuadas (tanto estatales como europeas) o desde la fetichización de la naturaleza a través del neo-ruralismo que el sector turístico impulsa. También evidencía que existe la capacidad de escapar a la estandarización impuesta por el capital para proclamar la independencia de este territorio, alejado de nacionalismos, desde formas locales de geopoder. Una comunidad capaz de articular estos planteamientos tiene el potencial de generar un espacio de autonomía: esta comarca es un valle de dinámicas territoriales y modelos de desarrollo cambiantes que aún mantiene modelos de gestión comunal vernácula, pre-capitalista. El proceso por el cual estos modelos socioeconómicos se han convertido en formas de vida precarias e incluso marginales, ha tenido como reacción la capacidad de articular una pequeña comunidad de resistencia a través del asociacionismo y las iniciativas que reclaman una regeneración del sistema (desde el activismo medioambiental hasta la ciencia y la cultura). Si miramos a los avanzados municipios de autogobierno indígena en Latinoamérica, también se llegaría a la dimensión política y económica, donde se permite imaginar un modelo que propicie la sostenibilidad del territorio, interrelacionándose a escala global. La Colonia Nueva Oportunidad, campus de la Universidad de Bellas Artes, Madrid 2012-2013. Fotografía por Fernando García Dory. Imagen cortesía de INLAND. Alex Alonso es historiador del arte y comisario independiente. Actualmente dirige el espacio de investigación artística fluent. Mauricio Corbalán tiene formación en arquitectura. En 2005 junto con Pio Torroja inicia en Buenos Aires M7red, un grupo de investigación y activismo independiente enfocado en la descripción y traducción colectivas de escenarios complejos. Fernando García Dory combina sus estudios en Arte, Sociología Rural y Agroecología en una práctica que se sitúa en un espacio de transición desde las condiciones de producción culturales bajo el postfordismo hacia un nuevo paradigma. Desde 2009 creó INLAND – Campo Adentro. Ariadna Ramonetti se desempeña como curadora independiente, productora, editora y gestora de proyectos culturales desde 2005. Su investigación actual se centra en la relación entre arte, cultura contemporánea y política, y entre estética y territorio en contextos precarios que padecen comunidades campesinas y periurbanas de la Ciudad de México. “Debajo del pavimento, la playa” o “la playa debajo del asfalto” era un lema popularizado entre los estudiantes protestantes en París en 1968. El término deriva de la arena que se encontraba debajo de los adoquines que los estudiantes desenterraban durante los disturbios y solían arrojar a la policía. Edwin Heatchote, “The Beach Beneath the Streets”, Financial Times, 12 de agosto de 2011. Acrónimo para Nuevo Aeropuerto Internacional de la Ciudad de México. Para conocer más sobre este proyecto revisar la página de Islario en Facebook.